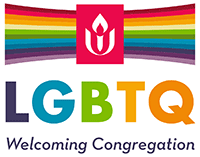 Everyone is welcome to the 11:00 service at UUCBG! Childcare is available for ages 6 weeks to 6 years. Sunday School classes are available for grades K-8, and preschool classes for ages 3-6. Teens are encouraged to participate in the 11 a.m. service with the rest of the congregation.